So Happy your stopped in for a visit today...... My project today is also my blog project for The Stamping Shack Blog where I am a DT Member. This cute post it note & pen holder ... Super easy and a really fun project to make. 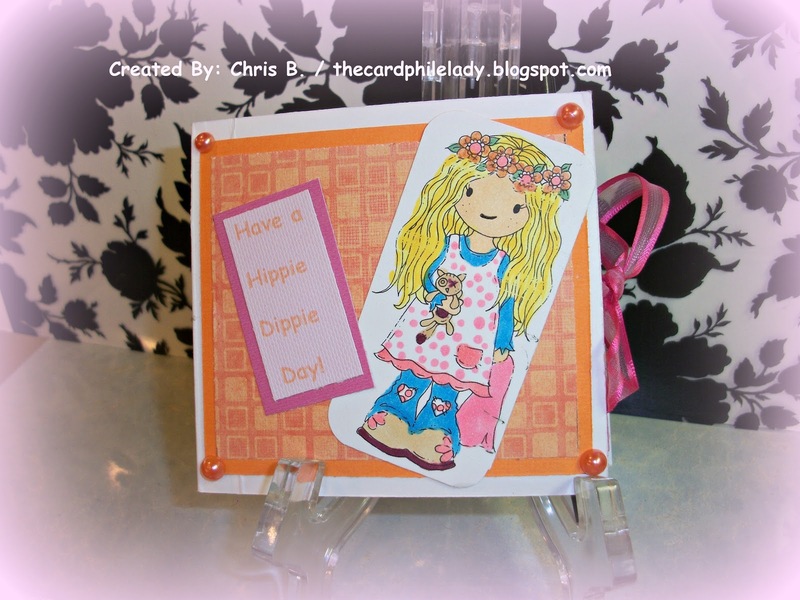 I am using the "Hippie Goth Girl" Digi Image from the Stamping Shack Store. She can be found Here. And I decided she is my favorite image thus far to use. Tip : The measurements will depend on what size your post it notes are... Mine are: 3" X 3" ... I also applied sticky strip to the back side of my post it notes to adhere to the inside of the holder. Score the 4" x 7" card stock across the wide side, 3 " from either end. Fold card stock along these score lines to create a ½" center Spine. Mat all 2 ¾" x 3" pieces of patterned paper by adhering to the 3" x 3 3/4" cardstock pieces. Adhere one of the matted pieces onto the outside, front of the holder. Center two pieces of ribbon inside the holder and adhere with Sticky Strip. Adhere the other two pieces of layered card stock over the inside panels to cover ribbon ends. Remove backing from Post-It notes stack and adhere to the bottom right side of the holder I also added a strip of Sticky Strip to back of Post It to hold in place better. Take the ¼" x 1" piece of card stock and wrap it around your small pencil or Pen to create a loop. Adhere ends together. Adhere the card stock loop at the base of your holder next to your Post It Pad. Decorate the top with your printed out and colored Digital Image and any other embellishments you'd like. I added some text that I printed and matted to card stock before attaching to front with Sticky strip. I am also entering this into the weekly Color Challenge over at Outlawz Group. That's all I have for you on this wonderful Sunday, enjoy your day. Don't forget to leave me some blog sugar..... I love reading all your sweet comments. wow, fabulous project and great tutortial. Thanks for stopping by and leaving the lovely comments. Gret project and easy to follow tutorial! Thanks Chris. I am stay at home wife who is addicted to crafting. Am Married to a great guy and my best friend for 24 years. I also run a Pet Sitting Business. But crafts are my favorite escape from everyday challenges of life. I am an avid card maker(paper addict). I've been making cards for about 18 years. I am so inspired by all the other Paper Crafter's out there on the web. I hope you enjoy my blog and Please feel free to leave me some feedback. 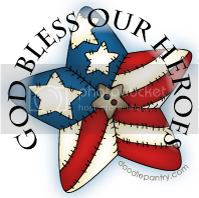 But please do not copy or use any of my creations, photo's ect...for contests, submissions or as your own. The info on these pages is for your inspiration and enjoyment only. Thanks for stopping by. All items on this blog are for your inspiration only. Do not copy or use any part of this blog. Awesome Inc. theme. Theme images by dino4. Powered by Blogger.